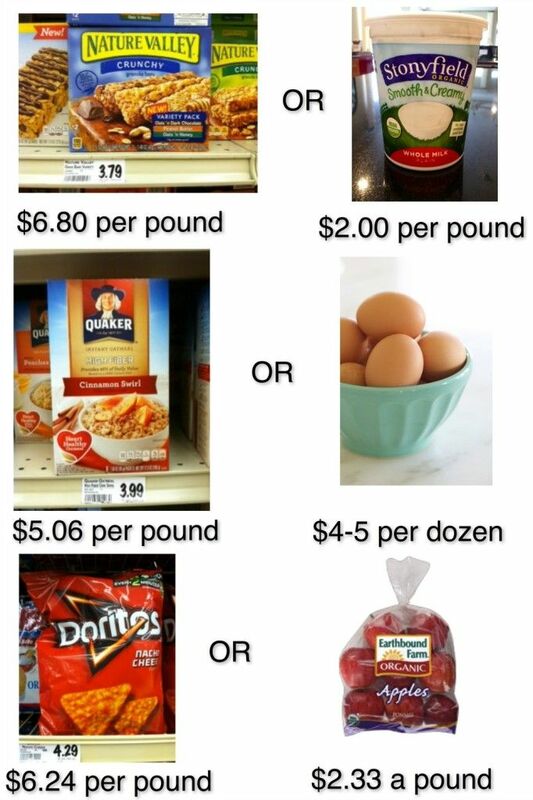 Here is an example that eating healthy isn't necessarily more expensive. I hear the excuse all the time. Bottom line you either pay for it now, or later with health problems!! Your choice! Love this comparison! And on top of that, the things on the right side keep you full for much longer!